Servion Global Solutions, a customer experience management expert has been managing over 10 billion customer interactions annually across 60 countries in 6 continents to enable business transformation for enterprises. It is a platforms-led systems integrator focused on strengthening customer experience strategies by automating and integrating customer interaction channels. Over the past two decades, Servion has evolved from being a single channel (voice) interaction expert to being an industry pioneer in omni channel customer experience. It’s AI enabled Virtual Assistant solution is the human like voice and chat agent that can simulate a live agent – from initiating customer conversations to delivering information and taking actions on their behalf. It can also detect customer’s emotions, perform transactions, and augment context and personalisation while elevating the overall customer experience. 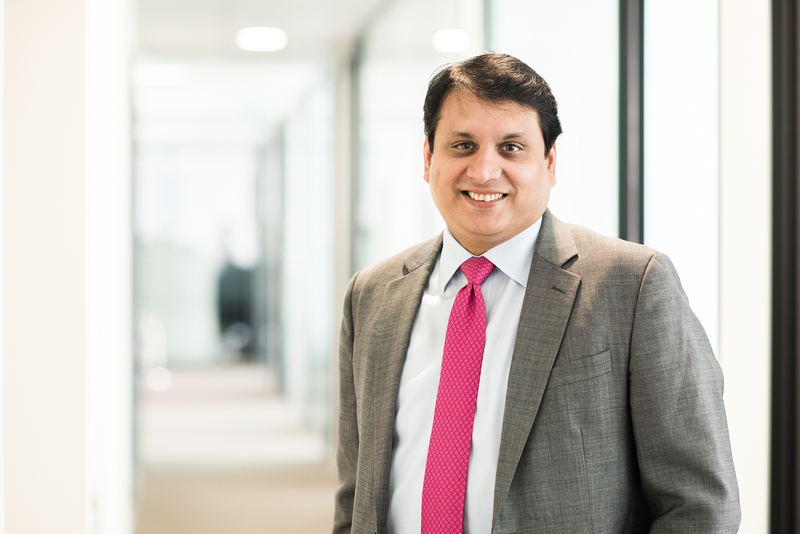 AIM interacted with Sameet Gupte, CEO, Servion Global Solutions to understand if Indian companies have truly tapped into the customer psyche to offer the ultimate experience, how they are leveraging emerging technologies such as AI and VR to fuel customer experience strategies and more. Analytics India Magazine: Would you like to give us a brief about Servion and how is it excelling in the area of analytics and artificial intelligence? Sameet Gupte: Servion is a niche player in the CX/DX space. Since our inception, we have focused on automating the customer service. We enable our clients to harness artificial intelligence to better understand their customers, integrate technologies together and measure outcomes. We leverage analytics and AI to create intuitive and enhanced CX. The ServIntuit and ServInsight platforms of Servion which are currently being used by blue chip customers worldwide have integrated analytics to predict customer behaviour and AI to enable next best action. AIM: How is it enabling business transformation for enterprises in the area of customer experience management (CEM)? What are the technologies used here? SG: Servion’s Customer Experience Management solutions are the meeting point between innovation and expectation. We believe technologies such as artificial intelligence, predictive analytics, virtual and augmented reality, and IoT have become customer experience game changers. AI-powered chatbots and intuitive voice services have already taken over large parts of customer services. At Servion, we offer an array of CX-Platforms and pre-integrated omni-channel solutions that help companies reimage their customer experience by leveraging these emerging technologies. ServIntuit is an omni-channel customer experience platform that enables intelligent automation and Next Best Actions for optimal responses to customers. ServInsights is a multi-channel analytics platform that enables informed decision making by integrating channel data with business metrics. ServCloud is a cloud-based CX platform that enables enterprises to benefit from AI without the capital and skills needed to manage the large-scale computing platforms. ServCare is an end-to-end support and maintenance platform that enables enterprises to focus on growth strategies – instead of worrying about daily operational challenges. AIM: How are Indian companies leveraging emerging technology such as AI and VR/AR to to fuel customer experience strategies? How is AI playing an active role in Servion’s decision making aspects? SG: Artificial Intelligence has seen a steady adoption across domains in recent years in India. In fact, it is triggered by a tectonic shift in customer expectations. A new generation of customers has started to expect futuristic engagement while flexing their purchasing powers. To keep up with them, companies are using AI to ‘learn’ from customer scenarios, and make ‘next best action’ decisions instantly. AI-driven automated services, such as chatbots and voice recognition, are being used solve many customer service challenges customers face; such as having to wait on hold, or navigate endless menu options. AI also makes it easier for them to automate repetitive workloads, saving the customer time and the company precious resources. With AI-driven responses answering simpler queries, more complex issues can be identified and diverted to specialist expert customer hubs. This not only resolves customers’ problems faster: it also drastically reduces the number of queries businesses have to run through their contact center. One of our telco clients was able to handle four times as many calls as before through automation, without having to expand capacity. The number of tasks that can be automated using AI will drastically increase. We predict that 95% of customer contact will be through automated systems in the next five years and that customers will welcome this change. Thanks to the gaming industry, VR technology, in particular, has a great degree of awareness among millennials. Visual technologies such as VR, AR, and holograms allow companies to show and not just tell; the potential for improving the customer experience is huge. From viewing a property via VR headset, through to tech support using AR goggles to show where to press, plug in or switch on, there are multitudes of largely untapped opportunities for organisations to give customers a completely new way to interact; whilst improving customer loyalty and reducing complaint time. Adoption level for these are still low in India, but they must start exploring how to use these technologies now, or find themselves lagging behind the competition. With end-to-end capabilities – from cognitive assessment to execution, and strategic partnerships with some of the biggest innovators, we have been helping clients to adopt cutting-edge service ecosystems to deliver differentiated customer experience. Further to our experience of having successfully driven over 600 CX journey implementations, our multi-disciplinary bandwidth has enabled us to think of tomorrow as today; not just in the way we set our client expectations, but in our daily decisions. AIM: Would you like to talk about Servion’s AI enabled virtual assistant and how is it enabling a smooth customer experience across your client base? SG: Servion’s AI-enabled virtual assistant is voice biometric enabled and offers a humanlike voice and chat agent that can simulate a live agent – from initiating customer conversations to delivering information and taking actions on their behalf. This solution has been helping clients to automate proactive text-related and voice engagement channels such as live agent support, live chat, consumer messaging apps or SMS. It also detects customer’s emotions, performs transactions, and augments context and personalisation while elevating the overall customer experience. This year, Stevie Awards recognised Servion’s AI-enabled Virtual Assistant with a Silver Stevie in the Best New Product or Service of the Year category for B2B products. AIM: Who are your major clients? What are the services you offer them? SG: Our client-base comprises blue chip companies, including many of the world’s largest banks and telco operators. We manage over 10 billion customer interactions annually across 60 countries in 6 continents. Three out of the top 5 banks, 2 out of the top 5 insurance firms and 5 out of the top 10 telcos work with Servion to improve their customer experience. We offer a comprehensive suite of solutions and services in the CX space. From big data and analytics and cloud to the entire support spectrum and AI-led implementation, we have had the right platform to deliver and exceed expectations. AIM: Please give us a detailed note on how is Servion making use of data analytics? SG: ServIntuit, Servion’s omni-channel customer experience platform, integrates data from all enterprise channel applications such as chat, voice, website, mobile, email and video to drive personalised, consistent and contextual customer experience. Powered by our Next-Best-Action Engine and analytics module, it provides optimal responses to customers – on the channel of their choice. This drives proactive, positive and unified interactions across all channels for unbeatable ROI, laying the foundation for strong customer relationships, superior loyalty, and optimised revenue. ServInsights, Servion’s multi-channel analytics platform, is designed to deliver actionable insights to contact center managers, operations, technology and business heads and drive contact center performance. It uses advanced analytics to give a 360-degree view of data-driven decisions by integrating multi-channel data, monitoring and analysing key business metrics, as well as customer trends and patterns. It is a single-box solution that comes with zero additional development or training expenses, does not require any additional database licenses, which reduces the total cost of ownership. AIM: What is your roadmap/plans for analytics and AI at your company in the future? SG: In the AI space, we are looking at building a strong case for Robotics-as-a-Service to make it possible for our clients to integrate robots and embedded devices into their web and cloud computing ecosystems. We are also keen to build our expertise in maximising the potential of VR/VR to ensure future-preparedness for our BFSI and Retail clients. In the Analytics space, we are looking to stay ahead of the data curve – as it becomes smarter by the day. Our powerful in-house platforms – ServIntuit and ServInsights – are agile and flexible, and they can easily incorporate upgrades that may come in the future of Machine Learning and Natural Language Processing. AIM: What are the most significant challenges you face being at the forefront in analytics space? SG: The biggest challenge comes from unifying the data collected through multiple sources. Companies have made huge investments in customer experience infrastructure over the years, from call centers through to CRM systems, with more channels and services added daily. This has created a complex web of interdependencies prone to performance problems, inefficiencies, and rising costs. Organisations are in a tough position: they must keep up with digital innovation, but starting from scratch each time is impractical. Stitching old and new systems together is extremely challenging, demanding skills that many businesses do not possess. Providing a seamless, integrated, omni-channel customer experience under these circumstances is impossible. The second challenge will come from the growth of internet-connected devices. Gartner, Inc. forecasts that 8.4 billion connected things will be in use worldwide in 2017, up 31 percent from 2016, and will reach 20.4 billion by 2020. Through the Internet of Things, these connected devices will start transmitting the customer’s needs in real-time, from restocking the fridge to adjusting the heating: businesses will be judged on how quickly they meet those demands. Connecting so many devices and drawing customer insights will be a big challenge. Organisations looking to leverage analytics better need to design a forward-thinking strategy that won’t simply tide the business over, but will re-optimise the customer experience and make the business more efficient. AIM: How do you think ‘Analytics’ as an industry is evolving today? Could you tell us the most important contemporary trends that you see emerging in the present analytics space across the globe? SG: In the next five to ten years, not only will machine handle up to 95% of customer interactions: we will prefer this to people. Just as customers are more inclined to use self-service checkouts or ATMs, we will turn to fast, efficient machines for most tasks. Human experts will instead be needed for more complex queries. Very soon we will also see AI-driven voice activation taking over a range of customer interactions. For example, Swedbank recently deployed AI to learn what customers want and how best to help them by assimilating website searches and contact center enquiries. Their AI platform now handles most transactional calls that would have previously been handled by a human, while more complex enquiries – for example, mortgage applications – are passed to a person. The great transformation these technologies allow is an increasingly predictive experience: using behavioural analytics to understand patterns and predict user intent. For instance, if a bank customer makes a monthly payment over the phone, the system should know to ask if they would like to complete their usual transaction when they call on the relevant date. Using AI-powered data analytics platforms, organisations can already detect the context of a customer issue and arm the call handler, whether a person or a machine, to suggest a ‘next best action’. In the future, these systems will understand us even better; including detecting and reacting to emotion. Companies are also already incorporating visual technologies, such as holograms, VR and AR, into the customer experience. Heathrow Airport, for example, is using holograms to greet customers: and the use cases for these technologies are set to expand. Big Data has, thus far, been the strategic investment buzzword across domains. Slowly, there may come a shift in industry attention to Smart Data. “Self-service” analytics are emerging to democratise the learning capacity of end users, and driving organisations to adopt leaner business performance models. From visualisation to action, they are evolving fast – irrespective of the device or channel. In the world of cloud data, the near-future trend would be in not just delivering deep-dive insights on the data, but in making it seamless and simple for enterprises to act on them. With cloud security growing stronger, real-time analytics will very soon be an integral part of it.